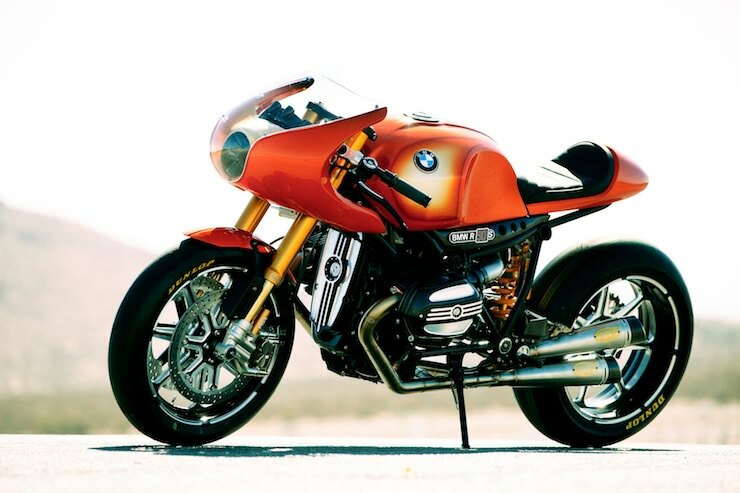 The BMW Concept Ninety is a new creation by the team at Roland Sands Design and BMW Motorrad, it was built to celebrate the 40th anniversary of the iconic BMW R 90 S.
The original BMW R 90 S was a genuinely extraordinary motorcycle, it was released in 1973, the 898cc four-stroke, two-cylinder, horizontally opposed Boxer engine was air-cooled and produced 67hp with 56ft-lbs of torque. 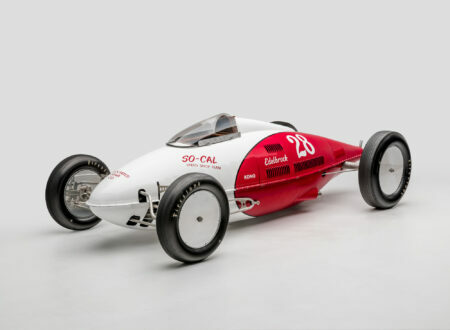 It was capable of a top speed in the region of 125 mph and could do the 0–62 mph dash in 4.8 seconds with a 1/4 mile time of 13.5 seconds. 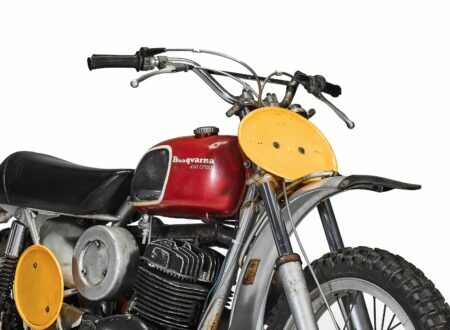 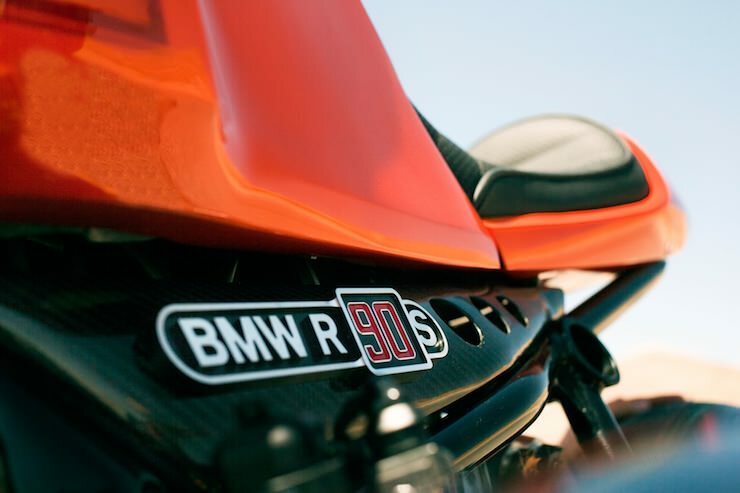 These performance figures weren’t lost on professional racers, the first United States AMA Superbike Championship was won in 1976 by the British rider Reg Pridmore on a modified BMW R90S. 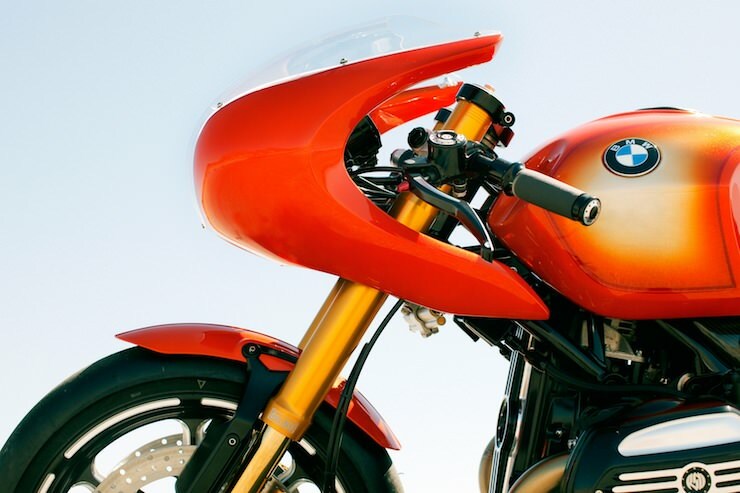 The design of the original R 90 S was overseen by Hans Muth, the same man who would go onto design the Suzuki Katana – a bike with a similar albeit updated design. 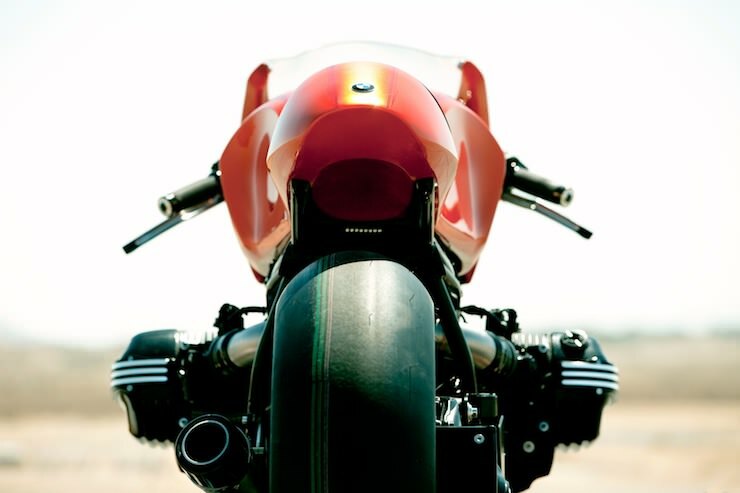 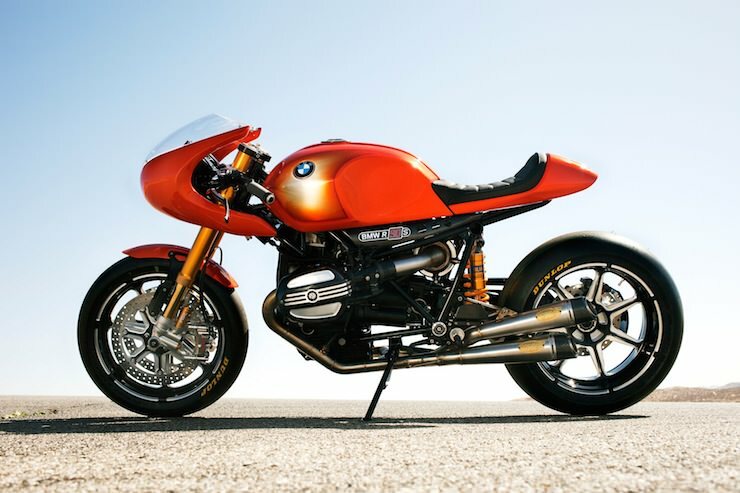 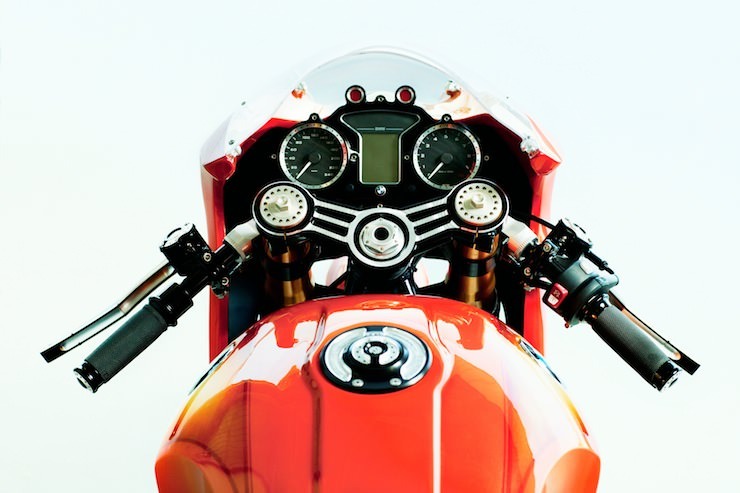 The BMW Concept Ninety is designed to be a modern, track capable interpretation of the classic R 90 S, even the paint scheme matches the silver and Daytona orange of the original boxer twin. 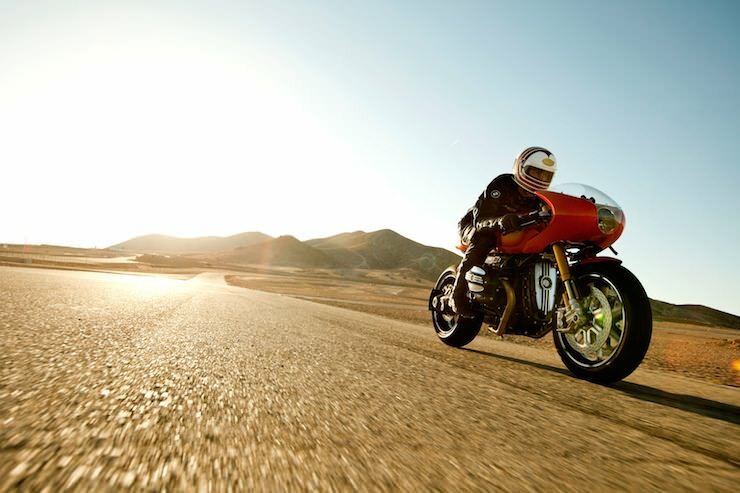 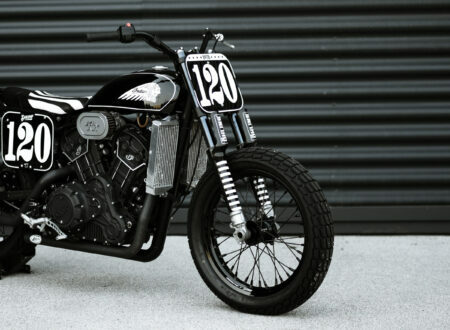 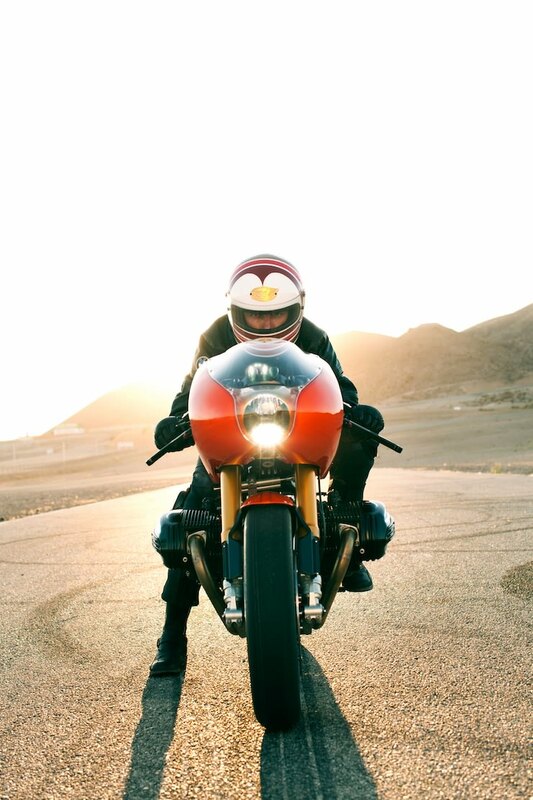 Roland Sands decided to stay true to the ’70s styling of the classic bike whilst updating the materials, engineering and performance – even going so far as to equip the concept bike with race ready slick tires. 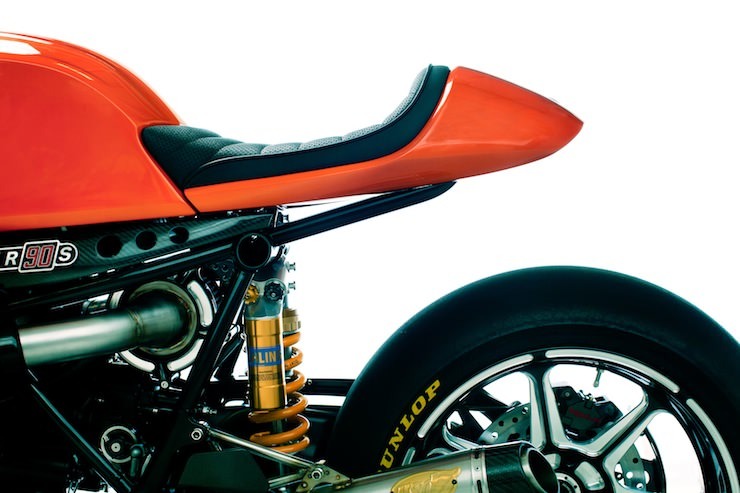 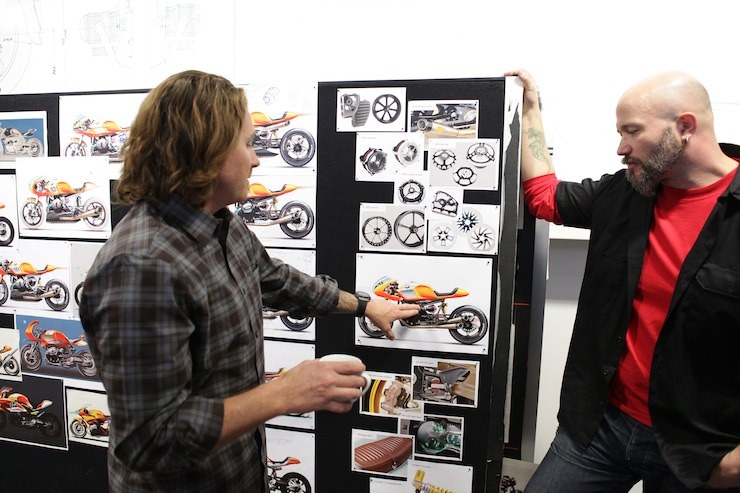 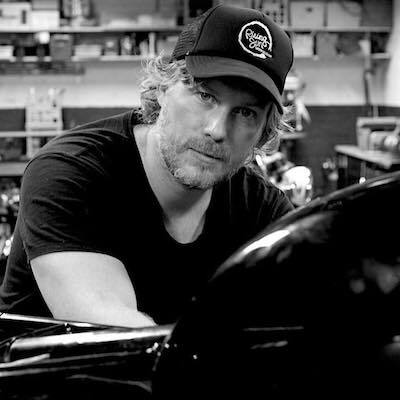 Roland Sands Design created many elements of the bike from scratch including the fairing, fuel tank, frame, triple tree and rear cowling. 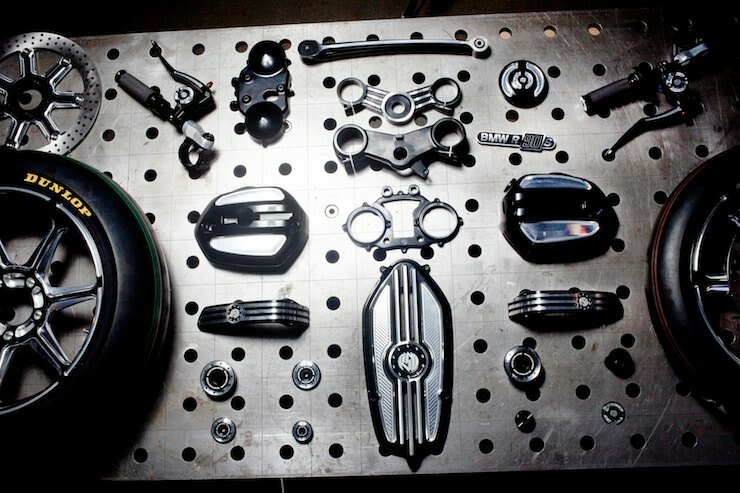 The aluminium body work includes carbon fibre parts as well as a bespoke engine cover, valve covers, and a one off exhaust system. 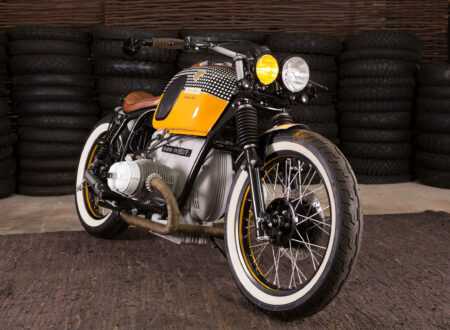 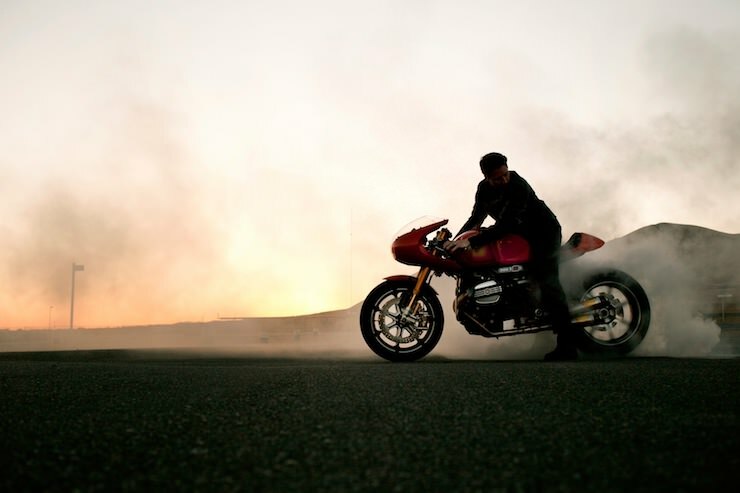 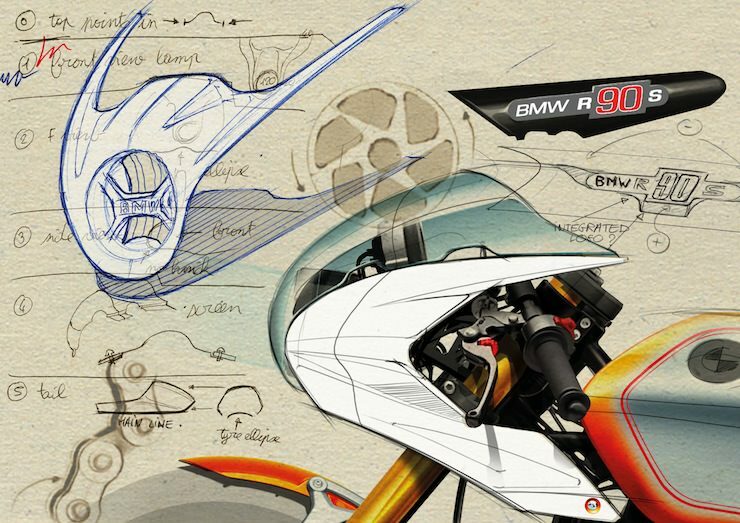 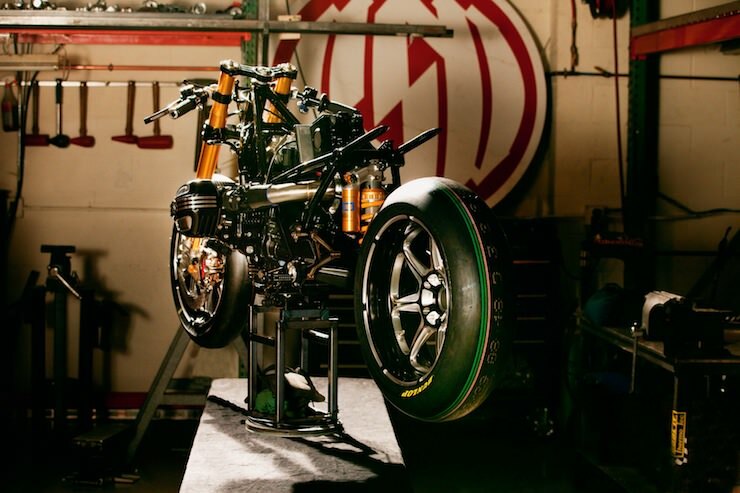 The new bike will be shown off at the Concorso d’Eleganza Villa d’Este 2013, where we hope enough enthusiasts are on hand to convince BMW Motorrad to do a small production run of the Concept Ninety. 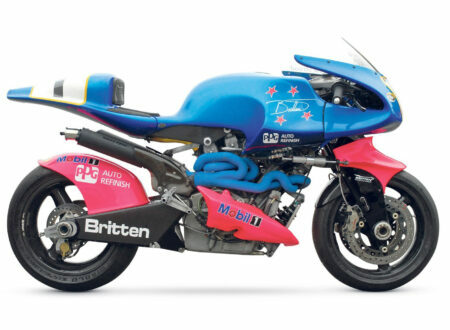 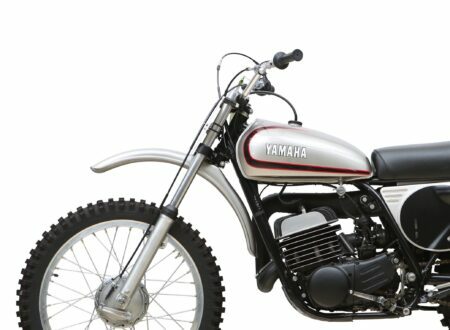 I’ll admit that this is highly unlikely, but it’d certainly make some welcome competition for the retro offerings from Triumph, Ducati and Moto Guzzi.